A tempest is upon you, a storm of monumental proportions. Do you not see the lateness of the hour in which you are in? I ask My body, My beloved, will you not watch and pray with Me in this hour of trial which is come upon the earth? My army of angels stands ready as the hordes of hell are unleashed. They long for the sweet victory foretold from before time began. 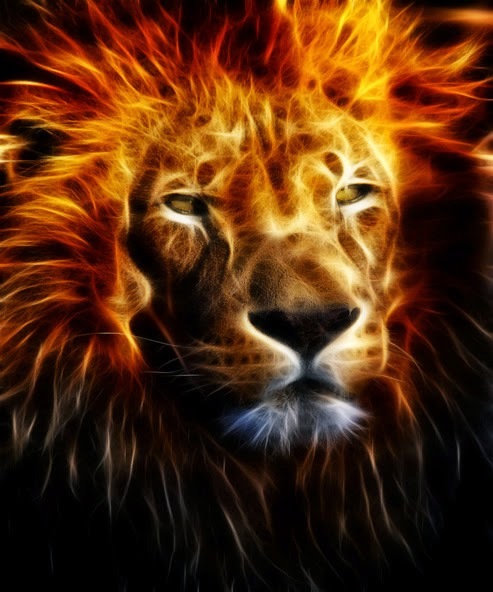 Set the watchmen upon the towers and stand high upon the walls as the Lion of Judah is made known from the heavens. Swift and mighty will My arm sweep across the lands and thunder and lightning will proceed before Me. A great and terrible day comes as I wield My Sword of Truth, dividing and piercing the heart, tearing asunder the soul from the spirit, for no heart will remain hidden in its intentions and its motives. I will expose every evil deed and thought and I will cast down all that has exalted itself above My name. No more will your sins stay secret, and no more will I wait to bring recompense where it is due. To My remnant, My request to you this day is pray, pray, pray for the lost and the unrighteous, and those who will be found sleeping for what I am about to do. Pray to be found worthy to escape all these things that are coming upon the earth. Pray to be found holy and blameless in My sight. Pray to be hidden under the shelter of My wings as justice is served. On the night of May 17, 2016, I had a dream/night vision in which I was shown the tsunami that will strike the West coast of the US, as a judgment from Father on the United States. It was very short, but very clear. There were many people on the coast, and as I looked out to the horizon, I suddenly saw the waves approaching. Father confirmed that this was indeed the tsunami that will strike the California and the NW coasts. He told me to warn the people. A few people in my dream listened to me and quickly began leaving the area, but most laughed and did not take me seriously when I told them that they had to evacuate the area immediately or be killed. Some ignored me altogether. I understand that this is representative of the groups of people in the world. A small remnant are listening to Father's warnings of judgment and are repenting and seeking Him with all their hearts. Most have not taken the warnings from His messengers seriously. Some mock and scoff, believing it will never happen to them in this lifetime. Again, I beseech you to listen carefully and heed all that Father is saying in these last days, preparing your hearts for His return. Of course, we are always to live our lives in anticipation of His imminent return, and no one knows the day or the hour, but His instructions are to always be prepared. I am not clear as to 'when' this will occur, but I have no doubt whatsoever it will. This is one of many times I have seen this judgment in a warning. I had not planned on making this public, but Father has insisted I do. In His incredible mercy and love, He always reveals to His servants what He is about to do. I must obey Him and warn the people as His messenger or the blood is on my hands. What you do with the warnings is in your hands. Pray for the lost. Pray for those who will die suddenly. 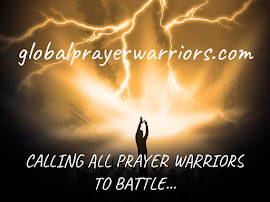 Pray for the ones who mock and scoff at His watchmen, for the most powerful weapon we have is prayer. He hears our cries for those we love, and He knows our hearts. EVERYWHERE YOU LOOK ARE THE SIGNS OF MY COMING-HAVE YOU MADE YOURSELVES READY?? I am the Savior of the world, your Kinsman Redeemer, God made flesh. I am the manifestation of the eternal, limitless One in this temporal realm. There are layers upon layers of revelation in My Kingdom. More will continue to unfold as you pray to know more of My heart. As you draw more near in your understanding of all that I am, you will know that in order to truly know Me intimately, you must know My heart's sufferings. I came so that men could believe, so they would have a tangible example of spirit made flesh. I came to show you how to bring soul and spirit into harmony on this side of the veil, even dwelling in a fallen world. What an incredible gift to this world that your Creator would come personally and teach by example, to demonstrate Kingdom living and Kingdom principles. And what a privilege and a great honor to be My chosen ones, you who are heirs to My Throne, to be taught how to walk and indwell the Kingdom of Heaven in this place. You have seen by My life and learned in My Word that to be one of My chosen, in joining hearts to Me, you will suffer much. They hated Me before they hated you. The way is narrow, and so few find it. Does it continue to surprise you that you will always experience heartache and suffering here? It should not, for how else could I teach you how to die and resurrect again as I did? Those of you who desire to be called My over-comers must experience all that I endured in this life. I led by example, but then you must walk in My footsteps. Embrace your cross, and follow Me. How could one learn humility, servanthood, mercy, forgiveness, and unconditional love without there being opportunities to do so through experience and practice? The key to all you will face in the trials and tribulations of this life is to learn My response. Learn deeply from My Word what My response was to every situation. Learn when to speak and when to stay silent. Learn when to act and learn when to remain still. Always listen for My still small voice to guide you and counsel you in the way you should go. In following My wisdom and learning of My ways, you will then have mastered the crucified life. Come with Me on this journey, as I bring you from glory to glory. Allow self to die, then rise with Me again. Remember what I last spoke of? Come with Me from My agony to My ascension. You cannot have one without the other. It is in your deepest pain that I will come and fill you to overflowing with My River of Living Water, bathing you in My love and My comfort. In this place of surrender and brokenness, I have promised you that here you will find true rest. I desire that you would move quickly through the maturing process, standing on My promises and continuously praying for greater measures of faith. For truly I tell you, the Bridegroom is coming for His Bride. Forsaking all else to follow Me means laying down all of you-- your thoughts and ideas, your opinions and perspectives, your strategies and your agendas. My desire is that you would step aside and allow all those I send you to see Me. How will they find Me if you have set up idols in the way? For you see, anything that comes from you that is before Me is an idol. Take this to heart My children for this is very serious. Most are walking in idolatry without ever knowing it. Examine yourselves. What have you put before ME?? A serious question indeed. Remove all that hinders others from seeing Me when they look at you. The free will that I have given you will many times in this life be your biggest obstacle and present the largest hurdle for one to over-come. For you see, I could never force someone to love Me or obey My commandments. For then your love and obedience would only be conditional. My love is unconditional and this is My desire in return. In being given free will, therefore, it will always be your choice how you respond to all of the trials and situations I allow in your lives. You can continue to step in front of Me and respond with you, or you can step aside and allow Me to use you to draw others to Me. I will continue to send various situations and circumstances of the same nature until I see that you have matured and mastered the desired outcome and your responses in all things remains constant and consistent. This is the growth process. I am patient and I am long suffering in your development. It is up to you the intimacy that We share. I will never hold back from you. All I have is yours. Everywhere you look are the signs of My coming. HAVE YOU MADE YOURSELVES READY?? TRULY, I AM AT THE DOOR..
14 And the Word was made flesh, and dwelt among us, (and we beheld his glory, the glory as of the only begotten of the Father, full of grace and truth.